The Tobolt representatives will be at the Cullen Hockey Center on…..
We will need to see ALL current participants of the equipment lease program during one of the designated times. Any skater that will not be using the equipment over the summer, and wants to return it, can do so at this time. If they choose to keep the equipment, new paperwork must be filled out, along with a new deposit check. After paperwork is filled out or equipment is returned, we will return the deposit check from the 2018-2019 season. Please remember to bring all equipment with even if you are planning on re-leasing. Exchanges: This year we WILL be doing equipment exchanges during the above designated times. Mite/8U skaters going to be 1st yr Squirt/10U: We will be leasing equipment for the summer months. Again, new paperwork and checks will have to be filled out, and the equipment will need to be returned in August during hockey registration. Spuddy Spinner for the backyard or the lake! SOUTH LOT - there is a new lot to the south of the building with building access through the new south vestibule and entrance. 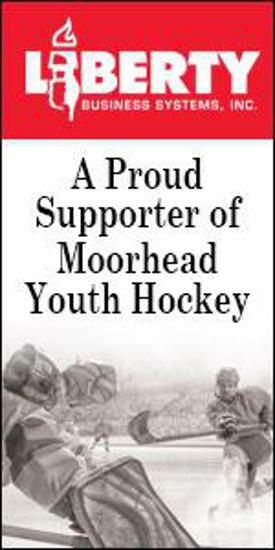 The mission of MYHA is to ensure an environment for our youth hockey players that allows them to develop their skills, passion, creativity, and understanding of the game.